Don’t Let Those Air Miles Go to Waste! So many of us have airline miles that will expire before we have a chance to use them. Recently I learned about a wonderful program that can really use those miles. The nonprofit Fisher House Foundation offers a program called “Hero Miles,” in which they work with the airlines, whose passengers have donated their frequent flyer miles, to provide assistance to our wounded service men and women and their families. Thousands of free airline tickets have been issued to soldiers who have been wounded while serving in Iraq or Afghanistan and are currently receiving medical treatment at a military medical facility. These tickets are used for a short visit home between procedures and treatment or to fly family members to wounded soldiers who are unable to travel home. I can personally say that this program is wonderful. 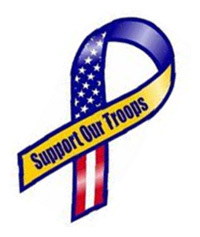 This last June, my nephew was severely wounded in Afghanistan. He was taken to Germany, where he under went surgery before being transferred to United States. The Fisher House Foundation, through the ”Hero Miles” program, flew his mother, father and sister to Washington DC to be at his bedside as he underwent several more surgeries. It does make a world of difference to these young men and women to have their families beside them while they go though such an extremely difficult time in their lives. The family presence really aids with the recovery process. AirTran Airways, Alaska Airlines, American Airlines, Continental Airlines, Frontier Airlines, Midwest Airlines, United Airlines, and US Airways are currently participating in this program. Participating airlines change from time to time, so to find out if your airline is participating, visit the Fisher House website. This very important program can only exist through the kindness and generosity of frequent flyer members. So please don’t let your miles go unused and support America’s heroes and their families by donating to the “Hero Miles” program. You’ll be helping to reunite these families and show that we do care for our American soldiers. To Insure or Not to Insure, That is the Question. “Should I take out travel insurance?” This is a question that travelers often debate. Is it worth the cost of the premium? Some people think that travel insurance is a glorified life insurance policy covering your life and limb when traveling but this accident coverage is just a small part of the package and a part that is hardly ever used. A good comprehensive travel policy offers so much more. One of the most important benefits of a travel policy is trip cancellation and interruption coverage. This protects your travel purchase against unforeseen illness or accident that keep you from traveling. When you are considering purchasing a policy be sure and look at the trip interruption portion. Will it reimburse your unused, non-refundable portion of the trip? If an unfortunate situation arises where you will have to return home for a covered reason, it can help cover the increased transportation costs of traveling home on short notice. The policy many also cover you for missed connections, travel delays and even work/business related reasons. In the unlikely event you become sick or injured during your trip, emergency medical and dental coverage is important to have. It is surprising, the number of health insurance policies that do not cover medical services when you are traveling internationally. It is a good idea to check with your health insurance provider to see what kind of out-of-country coverage you have. I hate it when my luggage is lost or delayed. 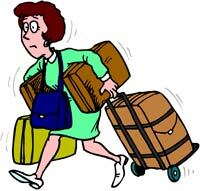 It is so irritating to lose your personal items only to find out the airline covers virtually nothing. Your travel insurance Baggage Protection will help replace lost or damaged items, and if you have to wait for your bags to catch up, it is somewhat comforting to know that you will be reimbursed for items that fail to make it intact. When should you buy travel insurance? I would suggest buying your insurance right after booking your trip. The price is the same whether you buy it a year before the trip or the day before you leave, but buying it early gives you the most coverage time, and sometimes gives you bonuses such as covering pre-existing medical conditions and supplier default. Make sure to use a reputable insurance company. Over the years, we have offered several different companies and have found Access America to have the best coverage, also the most fair when it comes time to pay a claim. We highly recommend using them for all of your travel insurance needs whether traveling on your own or traveling with us. Be sure and know what your insurance covers. Read your policy ahead of time and don’t hesitate to ask questions. Most of the time you will find that you are covered for more things than you thought. No one wants to think about the “what ifs” so let travel insurance take away some of these worries. Even though the odds are low that you might have to file a claim, the security and peace of mind provided with travel insurance is worth every penny. Let’s catch a quetzal—on camera that is. We can begin our hunt by hiking through the Monteverde cloud forest, on a California Native Costa Rica Adventure. If we are lucky, we may see this incredible looking bird winging its way through the sky. With its shimmering emerald green body, red belly, and blue back, the bird does not look real. Adding to this effect is his long flowing blue and green tail, twice as long as his 15 inch body. Truly, the Resplendent Quetzal is one of the most beautiful birds in the world. To the Aztecs and Mayas, the quetzal was their most sacred symbol. Its name was derived from quetzalli, an early Aztec word for the bird’s beautiful tail feathers. 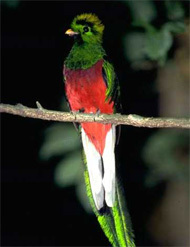 The quetzal was a symbol of both freedom and wealth. Freedom, because a quetzal was believed to die in captivity, and wealth, because the Mayas were traders, and quetzal feathers along with jade were their most sought after treasures. They traded the feathers as far north as the central valley of Mexico and as far south as the Empire of the Incas. Only the priests were allowed to wear the feathers of the quetzal. It is said that the feathers were only taken from living birds which were then released to grow new feathers. A Mayan legend describes how the bird got its crimson breast. When the Mayan chieftain Tecun Uman fell in battle, mortally wounded by the Spanish conquistador Pedro de Alvarado, a gold-and-green quetzal landed on his chest. As the chieftain died, the bird flew off, its breast forever stained with the blood of the Mayan. During most of the year the quetzals are solitary birds. During breeding season, between March and June, they mate and produce two blue eggs. Both the male and female take turns at incubating the eggs. They feed by darting out of their nests to pluck fruit, insects and occasionally a lizard or frog from the forest canopy. Originally endangered by local hunters seeking its feathers for religious ceremonies, the quetzal is now threatened by the destruction of its habitat and the demand for its live export. The year 2009 is coming to a close. We are now at the end of November and the holidays are coming up fast, but it is not too late to make your plans for a wonderful holiday getaway. We do have some space left on our Christmas/New Years escorted tour to Mexico’s Copper Canyon where we will celebrate Christmas with the Tarahumara Indians and the owners of the Paraiso del Oso. On December 23rd, we will be departing with a small group out of Los Angeles and Phoenix airports for an exciting tour into the canyon. The 11-day Ultimate tour spends nights in El Fuerte, Cerocahui, Divisadero, Creel, Batopilas, Chihuahua and a wooded area just outside San Juanito. As with all of our Copper Canyon tours, we ride the Chihuahua al Pacifico Railroad for one of the most spectacular train rides in the Western Hemisphere. The train travels through the lowlands of Sinaloa State and up into the Sierra Madre Mountains, passing through 86 tunnels and crossing 37 bridges. Some other highlights on this tour are the Cusarare and Basaseachic waterfalls, a day trip to the village of Urique, the “Lost Cathedral” just outside of the village of Batopilas located at the canyon bottom and the magnificent vista point which overlooks a whole series of intertwined “barrancas” (canyons). On this special trip, participants will have the opportunity to enjoy a special Christmas Eve known as Noche-bueno (the Good Night), a delicious dinner at the Paraiso del Oso and Ana Maria’s famous Christmas punch. Those wishing to join the Tarahumara Indians and mestizo community may attend the midnight mass, also known as La Misa del Gallo (Rooster’s Mass). Traditional Tarahumara dancing usually starts an hour or two before the mass, then recommences afterwards to make it an all-night celebration. As an old Spanish saying goes, “Esta noche es Noche-Buena, y no es noche de dormir” (Tonight is the Good Night, and it is not meant for sleeping). As Christmas morning arrives, the celebration moves back to the Oso Lodge where local Tarahumara join the hotel guests for the piñata party. 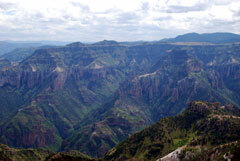 The native Tarahumara live in isolated ranchitos in the rugged mountains surrounding the hotel. They take turns swinging at the Christmas piñata until it explodes showering candy and small toys to the ground. The hotel is filled with laughter and glee as the children scramble to collect their treasures. Gifts from under the Christmas tree are handed out. As the locals return to their mountain ranchitos, guests with The California Native prepare for the day trip to the Urique Canyon. In the evening after the excursion, guests enjoy a traditional turkey dinner with all the trimmings. What better way to end this year and bring in the new year than to spend the night surrounded by pine trees in the Sierra Madre Mountains. We will stay in comfortable log cabins at the Lodge at Norítari meaning a “Place Above the Clouds” in the language of the Tarahumara Indians. Here one can hike to a nearby lake or relax on an old-fashion porch taking in the peacefulness of this lovely area. To be a part of this year’s celebration and a truly unique experience, make your reservations now as time is running out. Happy holiday season to all of our fellow travelers. Now is the prime time to travel into Mexico’s Copper Canyon and as travelers make their way into the canyon, so does our book, The California Native Copper Canyon Companion. 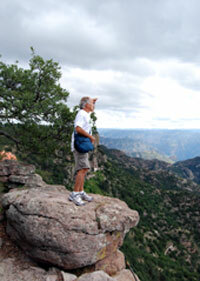 The book is a great tool to take along on any trip to Copper Canyon. It is filled with useful information, including lists of birds and plants, a table of mileage and distances, and a sightseer’s log of the Chihuahua al Pacifico Railroad. 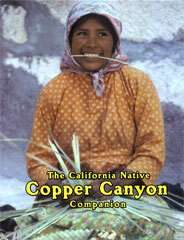 Written by members of our California Native staff, the Companion is a compendium of the many of the stories and photographs of Copper Canyon which have appeared in our newsletter over the past decades. In its pages, you will meet the Tarahumara Indians—the cave-dwelling indigenous people who have lived in this area for centuries, and our California Native guides share with you their personal memories and affection for these proud people who refused to be conquered by both the Spaniards and the modern world. The stories will take you back in time and introduce you to the 17th-century conquistadors and priests who radically changed the history of the Americas, and the 19th-century Americans who left their mark—Alexander Shepherd, who developed the silver mines into some of the richest in the world, and Albert Kimsey Owen, who established a utopian colony at Topolobampo Bay and, along with Arthur Stilwell, conceived the fantastic rail line which traverses the area. There are also stories about heroes and villains—Father Miguel Hidalgo, the “Father of Mexico,” Emperor Maximilian, who was installed by France to rule the country, and Pancho Villa, hero or villain of the Revolution. Considering a trip? This book will give you an in-depth look into this unique region of Mexico’s Sierra Madres. Already been there? The stories and pictures will bring back wonderful memories and help you to share them with your friends. I know you’ll enjoy reading The Copper Canyon Companion as much as we have enjoyed putting it together. 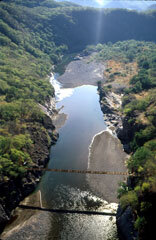 Copper Canyon: Which Direction is Best? high above the Rio Fuerte. Guests often ask why we run our Copper Canyon trips from west to east, beginning in El Fuerte and ending in Chihuahua, instead of the opposite direction. The answer is simple: It’s the best way to enjoy the sights! One of the highlights of touring Copper Canyon is the ride on the Chihuahua al Pacifico Railroad—the famous Copper Canyon train. 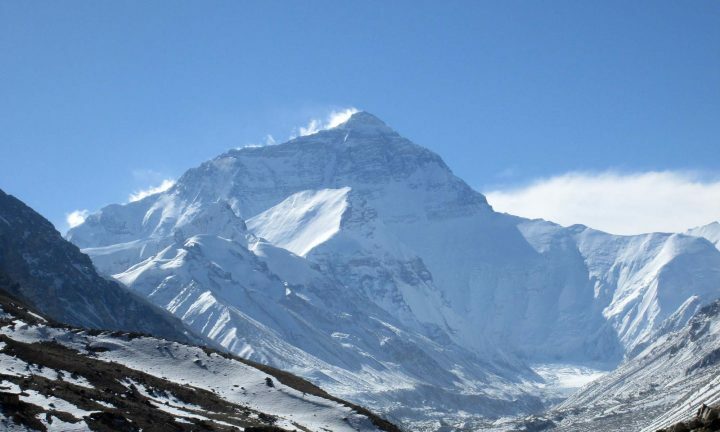 One of the world’s most scenic train rides, the route climbs from sea level to over 8,000 feet, passing through 86 tunnels and crossing 37 bridges along the way. The tracks run from Los Mochis to Chihuahua City. Every morning a train is scheduled to leave from Los Mochis at 6:00 a.m. for Chihuahua, while a second train is scheduled to depart Chihuahua for the trip to Los Mochis. Notice that I say scheduled—it is not unusual for either train to lose two to four hours along the way. The two trains travel the same route in opposite directions and pass each other along the way. The most scenic portion of the train ride is between El Fuerte and Creel. Shortly after leaving El Fuerte Station the train abandons the lowlands of Sinaloa and begins its ascent into the Sierra Madre Mountains. The vegetation changes as the elevation climbs and the views of the mountains, rivers, waterfalls and Tarahumara Indian homesteads are spectacular. At one point the train enters a tunnel, makes a U-turn in the mountain, and exits the tunnel with the canyon on the other side. The midpoint of the trip is just west of Creel, after crossing the continental divide. After that, the train descends and the track parallels the highway, passing through industrialized farmland until it finally arrives in Chihuahua City. One of my favorite spots to photograph the train ride is while we are crossing the Rio Fuerte Bridge, the longest bridge on the route. With the morning sun reflecting off the water, it is just gorgeous! The eastbound train crosses this bridge around ten in the morning while the westbound train arrives there approximately eight at night—dark during most times of the year. Starting trips at El Fuerte allows you to see the most scenic portions of the train ride during daylight hours. Nothing can compare to a fresh, hot, homemade tortilla. I remember as a kid, my mom would give us tortillas right off the griddle sprinkled with a little cinnamon, sugar and butter. They were heavenly and simple to make (if you use the prepared flour). When you order a tortilla in Spain or South America you’ll receive an omelette—layers of eggs, potatoes and seasonings. But in the U.S., we are familiar with the tortillas of Mexico, kind of flat bread or pancakes. 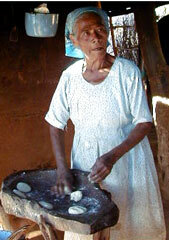 Meals are served with, in or on tortillas made of corn or wheat flour. Tortillas are very versatile and can be wrapped around fillings to make burritos and enchiladas, folded and filled to make tacos, served flat like a plate for a tostada, baked into a bowl for salads, or served like bread with a meal. Since 1985, NASA shuttle missions have been using tortillas to solve their food handling problems and eliminate bread crumbs in the instrument panels. The Tortilla has become a regular food staple in most kitchens and can be found in every local grocery store. They are almost as common as a loaf of bread. Of course you can’t beat the tortillas made in the traditional way in Mexico, such as the ones we enjoy on our trips to Mexico’s Copper Canyon , the Yucatan and Chiapas, but you can do a pretty good job of making them yourself. The traditional way of making tortillas includes curing the corn in lime water until the hulls peel off, then grinding it with a stone mano (a cylinder-shaped stone similar to a rolling pin) and metate (a stone with a concave top for holding the corn). I usually skip this step, as it can be very time consuming. Mix the dry ingredients together in a large bowl. Cut in the shortening or lard using a pastry cutter or criss-cross two knives. If the mixture crumbles, you do not have enough shortening or it is not mixed. If it is a hard ball then you need to add more flour. Add the warm water and mix the dough quickly by hand moving it around the sides to pick up any flour remaining in the bowl. Continue to knead the dough until it is soft and no longer sticky. Cover the dough with a towel or plastic wrap to let it rest for about 5 to 10 minutes. Letting the dough set allows the water and flour to mix and will give you a softer tortilla after cooking. Take your ball of dough and begin forming 1-inch diameter balls. Pat each between your hands, turning and patting until it is shaped like a fat disk. Place it aside and continue to do with the rest of dough. On a lightly floured surface take one of the dough patties and begin to roll it out until you the dough is about 1/8-inch thick and 8 to 10 inches in diameter. the heat after the first couple of tortillas. 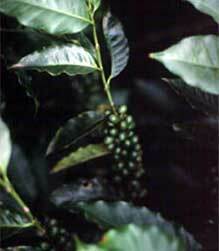 Heat till brown spots form, usually about 30 seconds each side. Pull the tortillas off the griddle and lay them inside a folded towel or tortilla warmer until ready to serve. You can use these to make tacos, enchiladas or burritos. Or, butter one up and sprinkle with cinnamon sugar for special treat. Can’t get any better! Christmas in Mexico’s Copper Canyon is a time of sharing and festivities. Nowhere is this more true than at the Hotel Paraiso del Oso. The rustic “Oso Lodge” is located in a beautiful valley just outside the town Cerocahui. All through the year, hotel owners Doug and Ana Maria Rhodes collect donations of gently-used toys and warm clothing and host a special Christmas celebration for the Tarahumara Indian children. Guests visiting the lodge with The California Native on the 11-day Ultimate Adventure will enjoy a special Christmas Eve known as Noche-bueno (the Good Night). At 4 pm the hotel hosts the annual celebration at the Cerocahui Church. After a delicious dinner, Ana Maria’s serves her famous Christmas punch. Then, those wishing to join the Tarahumara Indians and mestizo community may attend the midnight mass, also known as La Misa del Gallo (Rooster’s Mass). Traditional Tarahumara dancing usually starts an hour or two before the mass, then recommences afterwards to make it an all-night celebration. As an old Spanish saying goes, “Esta noche es Noche-Buena, y no es noche de dormir” (Tonight is the Good Night, and it is not meant for sleeping). 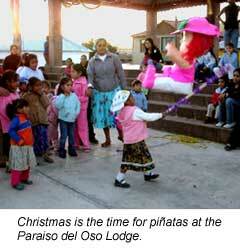 As Christmas morning arrives, the celebration moves back to the Oso Lodge where local Tarahumara join the hotel guests for the piñata party. 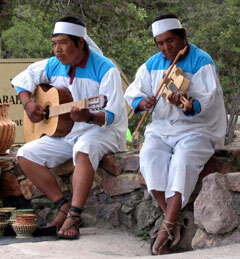 The native Tarahumara live in isolated ranchitos in the rugged mountains surrounding the hotel. They take turns swinging at the Christmas piñata until it explodes showering candy and small toys to the ground. The hotel is filled with laughter and glee as the children scramble to collect their treasures. Gifts from under the Christmas tree are handed out. As the locals return to their mountain ranchitos, guests with The California Native prepare for a day trip to the Barranca de Urique (Urique Canyon). In the evening after the excursion, guests enjoy a traditional turkey dinner with all the trimmings. Spaces are still available on this adventure. So, please join us for a very unique Christmas celebration in the beautiful, caring village of Cerocahui. 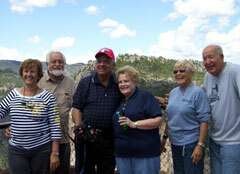 You’ll get to explore the great Copper Canyon area and meet the wonderful people who call it home. 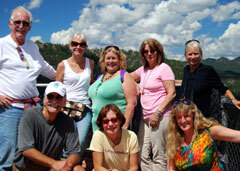 Each year the California Native International Adventures invites travel agents to join them on a tour of Mexico’s Copper Canyon to experience the wonders of this remarkable destination. This year our group consisted of 20 travel agents and companions, a tour conductor, an assistant and a nurse. Not only did the group learn about the canyons, the Indians and the hotels—they had a blast. We started our trip with a flight from Los Angeles to Los Mochis, then on to the colonial town of El Fuerte where we overnighted in a wonderful boutique hotel, the Hotel Torres. There we enjoyed a magnificent dinner, then got to know each other and the Torres Family, our hosts at the hotel. After a good nights sleep we boarded the Chihuahua al Pacifico railroad for the phenominal ride up into the Sierra Madre Mountains. The Copper Canyon train is considered to be one of the most spectacular rail routes in the Western Hemisphere. It passes through 86 tunnels and crosses over 36 bridges as it climbs to over 8000 feet in the Sierra Madre Occidental Mountains. At one point the train makes a 180° turn inside a tunnel and it was amazing to see the canyon suddenly appear on the opposite side of the train. As the train climbs higher into the mountains the scenery becomes more spectacular. The vegetation changes from semi-arid farmland to oak woodland. After several hours of a most enjoyable ride we arrived at the Bahuichivo Station and transferred to a lovely ranch-styled hotel, the Paraiso del Oso. This hotel, nestled in a beautiful valley just outside the town of Cerocahui, became our home for the next two days. The owners, Doug (Diego) and Ana Maria Rhodes made us feel like family. The home cooked meals were wonderful and the discada (a meal prepared on a disc over a fire pit) was a special treat. The first afternoon at Del Oso we visited the little town of Cerocahui and its Spanish-colonial church. The next day we took a journey to an overlook with a fantastic view almost a mile down into the Urique Canyon. At the overlook, we enjoyed a wonderful Bar-B-Que and Diego told us about the area’s long history of mining, dating back to the days of the Conquistadors. We also visited a small boarding school where we met with Tarahumara children. Many of the travel agents brought donations of school supplies, toys and clothes. The smiles on the student’s faces were heart warming. The agents also took up a collection to help fund a scholarship program for the children. The next day we were back on the train to enjoy more of this marvelous rail ride. Traveling higher into the mountains (up to 7200 feet) the oak trees disappeared and the pines took over. We arrived at the Posada Barrancas Station and took a short bus ride to the Mirador hotel, located right on the edge of the canyon, where we were greeted with margaritas on a patio overlooking the canyon. The view was indescribable and we could only hope to capture a small part of the beauty with our cameras. After checking into our rooms, we discovered that the same great view was now our backyard—the balconies of the rooms hung over the edge, giving each room a unbelievable view. Before dinner we met for a happy hour, and it really was—we danced and sang to a wonderful mixture of Mexican, South American, and popular dance music. The next morning, after a full breakfast, local Tarahumara Indians, dressed in traditional costumes demonstrated their unique dances. They also performed a version of their running races. Real races can last over several days, the men kicking wooden balls ahead of them as they run, and the women rolling hoops. We enthusiastically cheered them on. After the race, we took a hike along the canyon’s edge to visit some Tarahumara caves (the indigenous people are cave-dwellers) and enjoy more wonderful views. 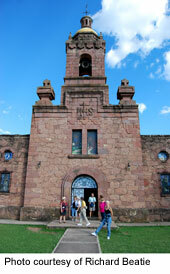 Next we traveled to the mountain town of Creel where we visited the plaza, the museum and the Mission Store. Here we purchased handicrafts made by the Tarahumara. The proceeds of the store fund the clinic that provides medical care to the Indians. We also had free time to wander the town and its many shops. After a comfortable night in The Lodge at Creel, we headed out of town to tour the surrounding area. Our first stop was a visit to a Tarahumara cave and the families living there. Next we went to the rock formations in Mushroom Valley and Frog Valley, where nature has carved the rocks into strange imaginative formations. Next, we visited the San Ignacio Mission, built in the 17th Century to Catholicize the Indians, and the peaceful Lago de Arareko (Horseshoe Lake). We then had a lovely hike along the Cusárare River to Cusárare Falls, and enjoyed our sack lunches sitting upon rocks and logs, trading cookies and chips like schoolyard children. We then visited the 18th Century Cusárare Mission and the Loyola Museum, which houses a collection of masterfully restored paintings from the surrounding Sierra Madre missions. All along the way we came across Tarahumaras ready to sell us their handmade baskets, carvings and jewelry. The travel agents purchased many treasures and showed off their unique finds to each other. Six days into the ten-day tour we traveled past the town of San Juanito to Norítari, a 200-acre ecotourism project located in the heart of a pine forest. Upon arrival, the owners, Lauro and Sol greeted us and showed us around. Each cabin was uniquely decorated with country-style crafts and lovely art and equipped with fireplaces, solar-powered lighting, and private bathrooms. A true gem in the woods. After lunch, some of us chose to take a van ride to the reservoir while others wanted to hike. The hikers got wet from an afternoon rain but the fireplaces in the rooms were heavenly. All of the meals at Norítari were freshly prepared by the family using unique and healthy seasonings and techniques. After a feast of a breakfast, we were on our way again. Driving over a bumpy mountain road allowed more breathtaking views at each turn. 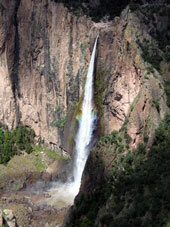 At last we arrived at our destination—Cascada de Basaseachic, the second highest waterfall in Mexico. We were fortunate to see a lovely rainbow arch across the cascade’s spray. We made a brief stop at a Mennonite community and then continued on our way to Chihuahua City, the capitol of the state. A good night sleep and we were ready to see all the sights Chihuahua has to offer. We visited the Government Palace, with its murals, painted by Aarón Piña Mora to commemorate the history of the state. Then we visited the home of the notorious Pancho Villa, which is now a state museum. We also visited Quinta Gameros, a pre-revolutionary estate which, legend has it, was built as a wedding gift for a young bride by a much older man who was one of the world’s richest—she refused to marry him and left for Paris. The house was never lived in by a family and now hosts art exhibits. We also visited the Chihuahua Cathederal—it took almost 100 years to build. After touring the city’s highlights, some of the group went back to relax, swim, and enjoy the amenities of the hotel. The rest of us went on to the open-air market to sample and purchase artifacts from all over Mexico. Our last night in Mexico was a grand one. 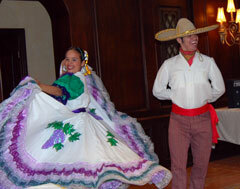 We all joined in for a margarita party and farewell banquet, complete with folkloric dancers and a great dinner. Then we finished it off with a fellow traveler’s birthday celebration. What a night! On the last day we traveled the historic route of the Sante Fe trail and to the El Paso Airport for our flights home. We said our good-byes and made plans to stay in touch with our new friends. Thank you to all that traveled with me and made this trip such a special event. Happy Trails!